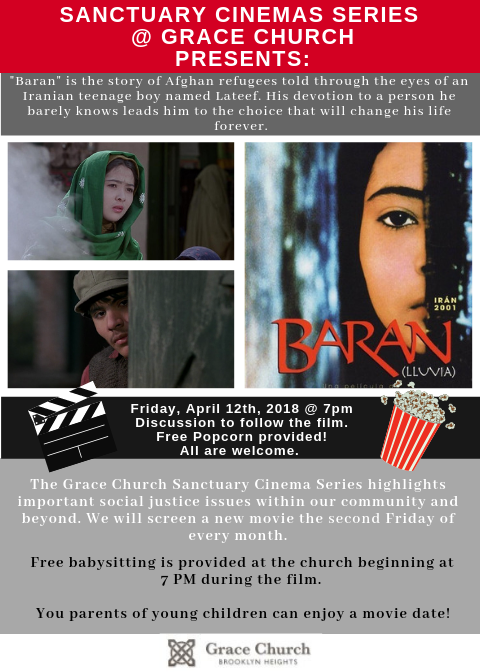 Please join us for our next FREE Sanctuary Screening, Friday, April 12 at 7 pm in the Guild Hall, when we will be watching “Baran.” FREE babysitting is provided at the church, beginning at 7 pm, during the film. You parents of young children can enjoy a movie date!!! Popcorn and lemonade will again be served and facilitated discussion will follow.